With a long break from this blog and without any new edited photos ready, I dug out some of my past photos for learning new Photoshop tricks. I vividly recalled my accommodation in Singapore during my initial days of arrival - Ibis Novena Hotel of Singapore. The hotel itself is not particularly easy to find, and it was for this hotel that I experienced my first difficulties. I was careless in my preparation in not looking carefully at the direction to the hotel, and couldn't find the hotel when I arrived in Novena MRT station. Even so, I thought that the cab drivers would know of the place. How wrong was I. This became my first lesson for traveling in Singapore - cab drivers aren't aware of the major buildings around the area they queued for passengers. Despite the fact that Singapore being a small island nation, the buildings are still numerous enough that the cab drivers aren't aware of every nook and cranny available. 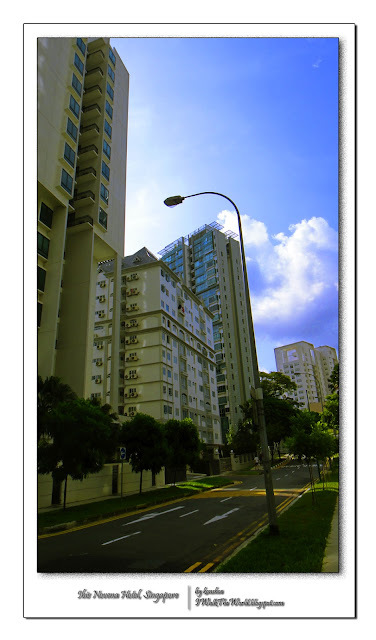 So be advised - always bring the detailed address, down to the street name and nearby landmarks, with you while traveling in Singapore. This will aid the cab driver in getting his bearing around. And not all cab drivers are friendly by the way. But at least they aren't rude. Not all of them anyway. 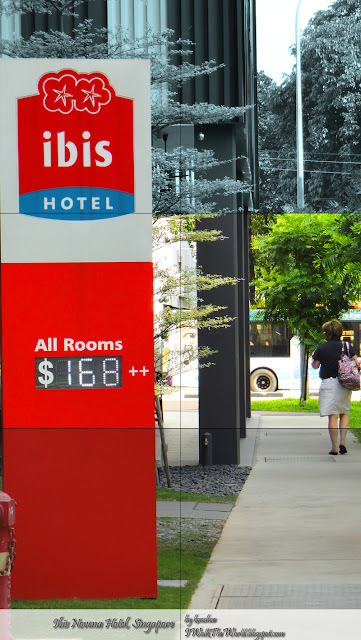 The usual expected room rate for Ibis Novena Hotel. Price will fluctuate according to season but still affordable for a couple or a family spending a few days in Singapore. Hauling my luggage to the hotel, I was slightly surprised by the environment Ibis Novena Hotel situated itself in. Depending on how you choose to arrive, one could get to the hotel either from Toa Payoh MRT station or from Novena MRT station since the hotel is something of a halfway point between both stations. 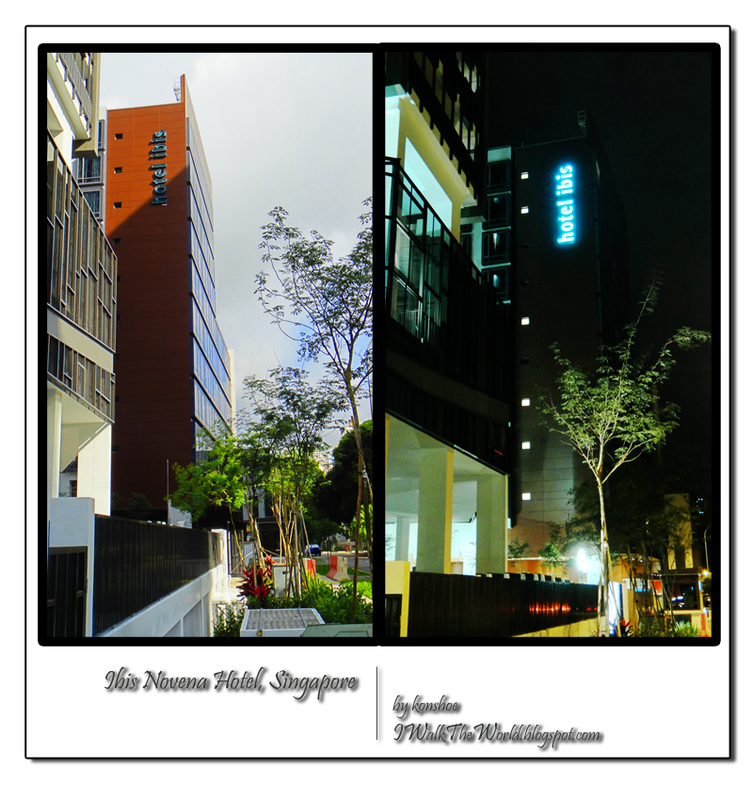 By itself, Ibis Novena Hotel is situated at a junction between two worlds. Approaching from Toa Payoh side will be the hustle and bustle of usual traffic since Ballestier Road is one of the busy major roadways in the area. Lining the road on both sides are shops and buildings that are less impressing except for those who had never been in an Asian/ASEAN city. On the other hand, coming from Novena MRT station avails you to another side of the area despite both stations being one stop apart from each other. Notwithstanding the grueling and tiring 10 minutes uphill walk to the hotel, there is a certain peace along Irrawaddy Road. With 3 medical facilities (Novena Medical Center, Tan Tock Seng Hospital and Ren Ci Hospital), an army guarded Singapore ministry ground as well as blocks after blocks of aesthetic condominiums, a stroll along this road could lend some peace of mind. From dawn til dusk - shots of Ibis Novena in broad daylight and under a starless night. The condominiums are particularly expensive looking and pleasing to the eye. During the few days of my stay in the hotel, I had passed by the condominiums numerous times amid the quiet neighborhood. These high-rises stand in start contrast against the aura of sadness exuded by the nearby hospitals, making you feel that it is worth it to pay for that nearly SGD200 accommodation in a peaceful area of pleasing condominiums, imagining yourself as one of their occupants. My inferior photography skills and equipment did no justice to the aesthetics of the area. The condominiums laying amidst a quiet and peaceful neighborhood are made more pleasing at night with various lighting shining upon them. Nevertheless, a stroll down Irrawaddy Road does wonders to the mind, lending it a peacefulness in a busy cityscape. With the road to Ibis Singapore Novena Hotel traveled, at the end of the road and in my next article will be the interior of the hotel rooms themselves, something which is more to the point with what most readers are waiting to know.